Hybridity focuses on multi-disciplinary analyses of conditions and sites of cultural hybridity, split, tension, anxiety, and their negotiation in a variety of social discourses and signs. It is also interested in the historical development of these clashes in what broadly may be termed the 'long modern' period - incorporating the development of industrial society, urbanization and colonialism in the late eighteenth and nineteenth centuries, decolonization and nationalization, global culture and capitalism, postmodern theory and culture, and their related socio-cultural issues. While the expected fault-lines arise around issues of class, race, gender, sexuality, resource distribution, power, and their representation and construction in the various media, Hybridity encourages investigations into new areas of social dialogics, and new theoretical articulations of prevailing issues. 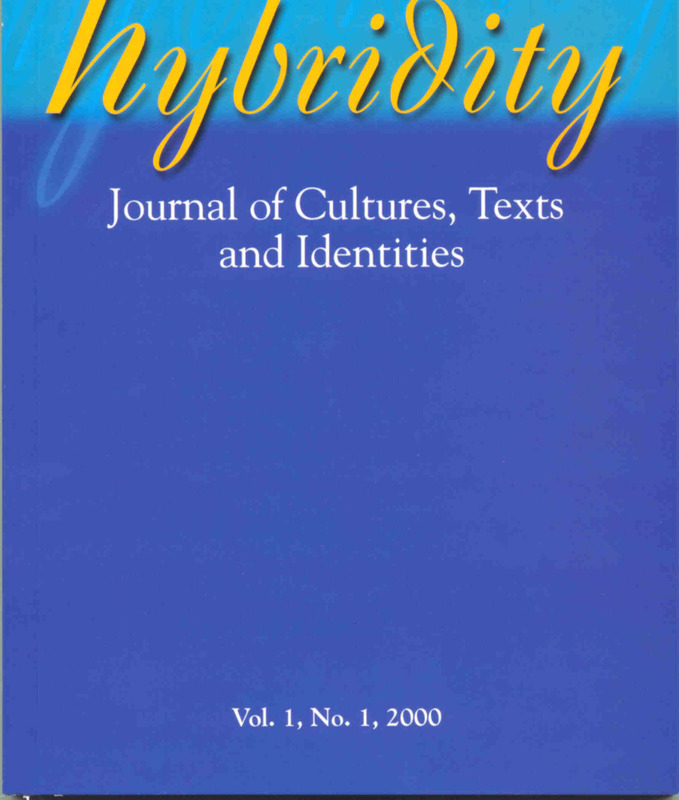 Hybridity does not confine itself to particular genres, media or methodologies, and especially welcomes articles which bring together different disciplines and areas of social and textual analysis.